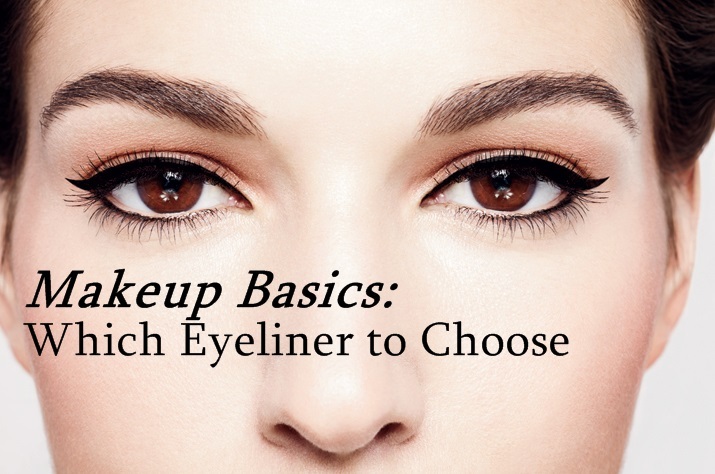 Makeup Basics is a weekly topic on this blog. The topic's aim is to help makeup rookie on how to get started. If you're interested in this topic, make sure to come back every week. There will be tips and product recommendations. If you have any useful tips and comment to share, don't forget to comment below. I finally done with makeup basics on foundation, and now we're going to discuss about eyeliner. Just like foundation, eyeliner comes in different formula. For beginner, you only need to know 3 of the main formulas - pencil, liquid and gel. Pencil eyeliner comes in a pencil form (duh!). There are some which comes in a wooden form, which you need to sharpen from time to time. And there's also the automatic type, where you can twist the pencil to reveal more product. The common mistake that a beginner always do is to use a pencil eyeliner when they first start out using eyeliner. Pencil eyeliner is not the best product for a beginner to test out because it is frustrated to get a precise line with pencil liner. People assume that pencil liner is comfortable to use because we are so used to using pencil. But for an eyeliner, the pencil liner is usually use only when you want to smudge it for a smokey look, or when you really want to achieve that bold and graphite look. 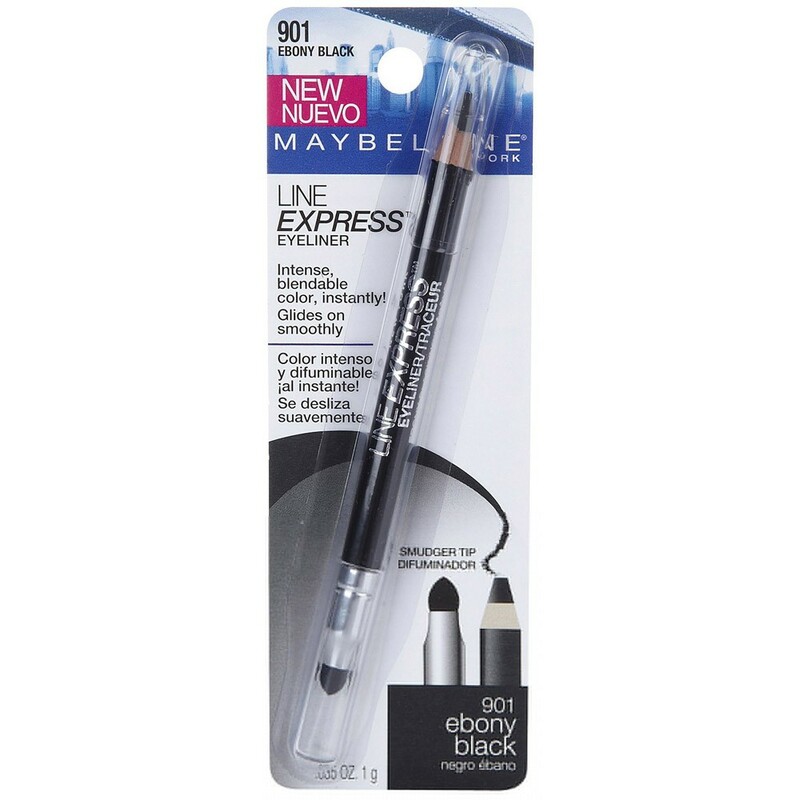 If you're a beginner and insist on trying the pencil eyeliner, I would recommend Line Express by Maybelline. Contrary to popular belief, liquid eyeliner is actually the easiest to master for a beginner. 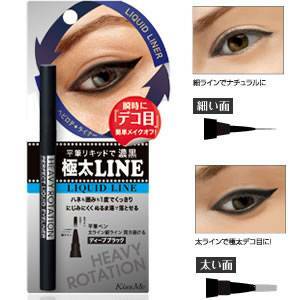 If you manage to find the right liquid eyeliner, you'll have the best experience ever. The ink glides smoothly, as compared to pencil liner that you have to go back and forth. If you make a mistake, you can clean it off easily with cotton bud before it dries off. 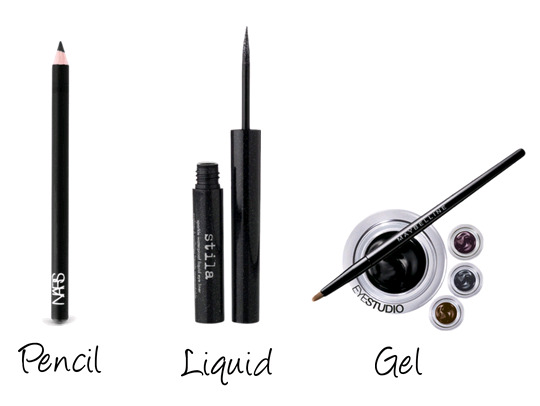 Liquid eyeliner comes in a few different forms. Some comes with a brush tip, some comes in marker pen tip. From my experience, the brush tip last longer. For some reason, those that comes in marker pen tip dries up really fast. For a beginner, I would recommend the Heavy Rotation Liquid Line because the tip of the brush is super easy to manage. And lastly, there's the gel liner. When you have master the technique of drawing the eyeliner, you should go for gel liner. Gel liner is the amazing thing ever! The line stays throughout the day, it doesn't smudge even if you sweat or tear. Sometimes when I'm too lazy to remove my makeup after clubbing, my gel liner stays exactly how it was the next morning. Gel liner normally comes in a small pot. You will need to apply it with a brush. Some brands provide the brush (like Silkygirl and Maybelline). Lately, ZA is able to put the gel liner into a pencil form. The formula of the eyeliner is like a gel, but for ease of application, it is in a pencil form. For beginner, I think you should try the ZA one first. As for the application, I would advise a beginner to do the cat-eye style on the top lid. Refrain from putting on the lower lash line because that area smudge easily. If you're not sure how to put it correctly, or use a wrong product, you might end up looking like a panda. Youtube some of the tutorials and practice it at home. Don't leave it til the last minute, the possibility of you ruining your eyeliner experience is very high. That's all about eyeliner. I hope the info above is useful. If you're a beginner in makeup, do comment below and let me know what you would like to know more. Next week we will be talking about mascaras for beginner.